Sancheti Institute of Orthopaedic and Rehabilitation (SIOR) ushered in a dramatic technological leap in Prosthetics & Orthotics with the introduction of modular, carbon fibre composite materials, which have enabled strength and ease of fabrication, still maintaining the weight as quite light. Light weight carbon fibre energy storing dynamic prosthetic and multi-axial feet have made it possible for an amputee to walk or run as near normal as possible. Newer prosthetic knee mechanisms with hydraulic or pneumatic cylinder have made the above knee amputees walk with comfort. Range of Artificial Limbs includes state-of-the-art Smart IP – Intelligent Prosthesis. This computerized marvel is the only one of its kind available anywhere in the world. 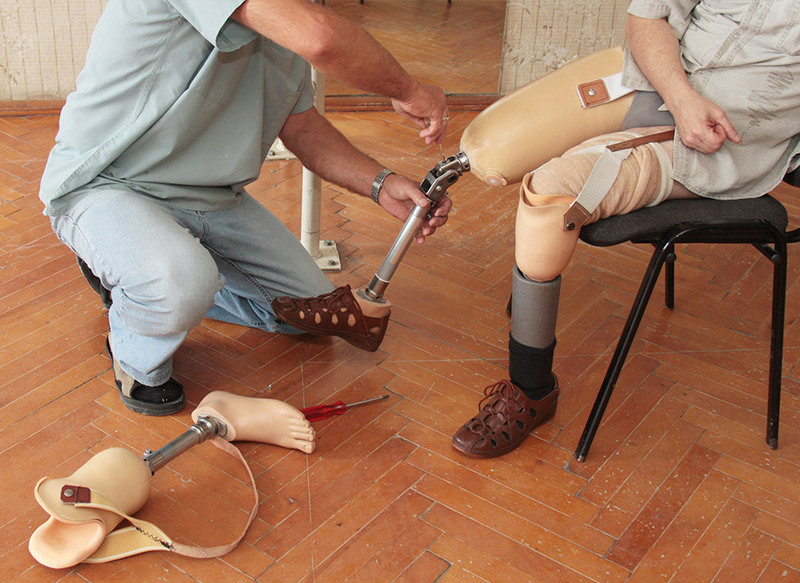 The systems cover all levels of amputation of the lower limbs as well as upper limbs with special attention paid to the design of socket, joints – ankle, knee and hip. Sancheti Institute also undertakes cosmetic restorations for fingers, toes, hands, feet, ears, eyes, etc. The restorations are custom fabricated to achieve proper proportions and correct skin pigmentation and perfect color match.